Organizers of the popular Mississippi Conference youth event, The Gathering, is taking the show on the road. 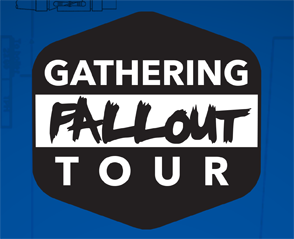 The Gathering Fallout Tour gives youth from across Mississippi a chance to experience high-energy worship. Mike Howington, the youth and families coordinator for the Mississippi Conference said the tour will be packed with excitement, giving young people only a snippet of what to expect for The Gathering 2016. He said the tour exists for two reasons. First, for past participants who have enjoyed The Gathering connection and want to come back together. And second, for groups who have yet to come to The Gathering. "We can show them here's part of what we are doing. Come see, come get connected. See if this is something your students will enjoy. Ultimately, we feel this is really helping with the movement of the Mississippi Annual Conference student ministry. We hope everyone comes out," said Howington. The tour will make three stops across the Mississippi Conference: Meridian District office on Sept. 20, Camp Lake Stephens in Oxford on Oct. 18 and St. Pauls UMC in Ocean Springs, November 15. These conferences are free and begin at 6 p.m. Click here for more information. The tour will feature past presenters Lo, Big Al and DJ Blaha. To register students for The Gathering 2016, Feb. 26-28, click here.